Taceno is a little mountain village situated near the Pioverna creek, in Alta Valsassina. The parish church is situated quite lonely to the border of the inhabited area and , with its heavy bell tower , it dominates the surrounding area. 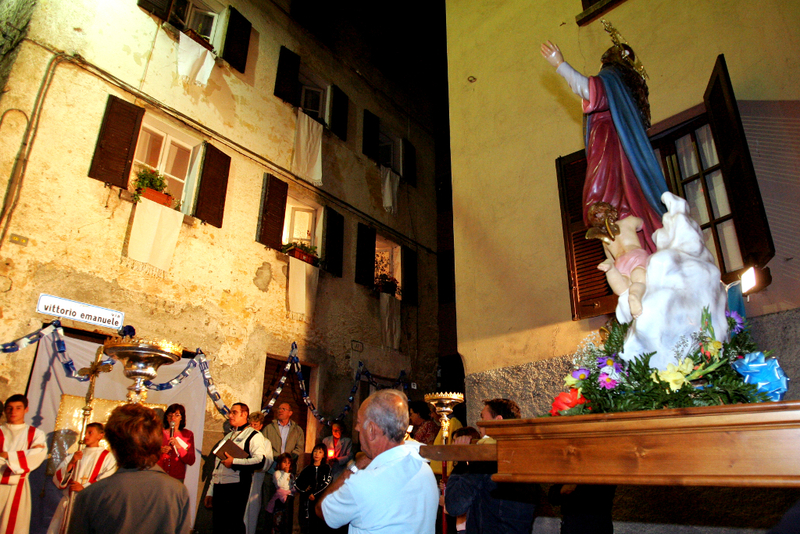 The building dates back to 1406 and it was consecrated to Maria Assunta , patron of Taceno , in 1746. The church has a white hut façade accompanied by a wide porch and by an elegant portal that leads to the aisle. Entering you can admire the presbytery , the central altar with two other lateral altars , dedicated to St Gioacchino and to St Anna and finally , the baptistery. 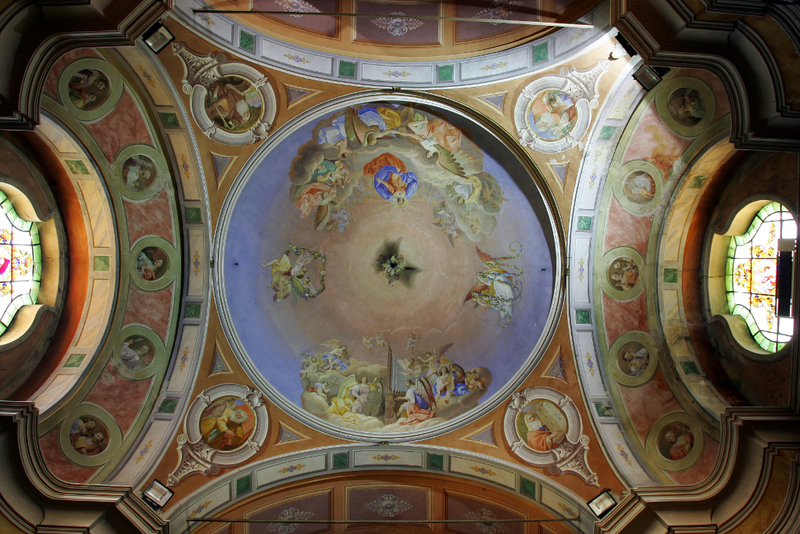 The most important part of the building is the pictorial one : the dome hosts a cycle of frescos made by Giovanni Maria Tagliaferri and his son Luigi , members of a famous family of painters that lived in Pagnona. 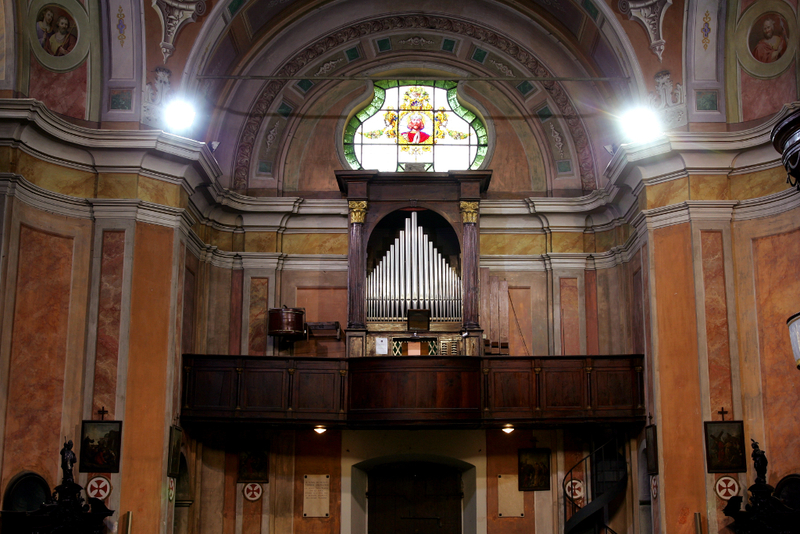 Moreover , in the lateral parts of the building you can admire some canvas that represent : The apostles near the empty Assunta sepulchre and the coronation of Madonna Assunta , the annunciation to San Gioacchino , the education of the Virgin and the chapels of Way of Cross. 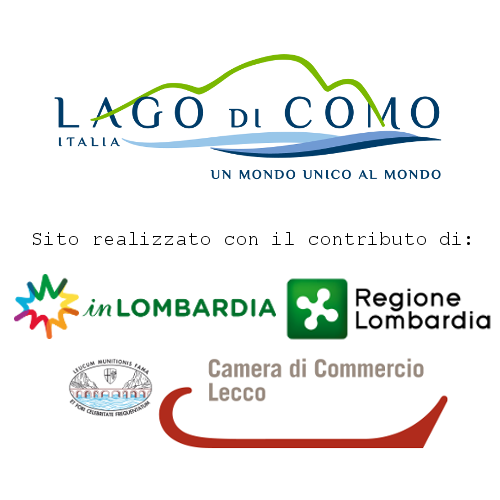 For more information see the documento by Marco Sampietro. Taceno is a little mountain village situated near the Pioverna creek, in Alta Valsassina. 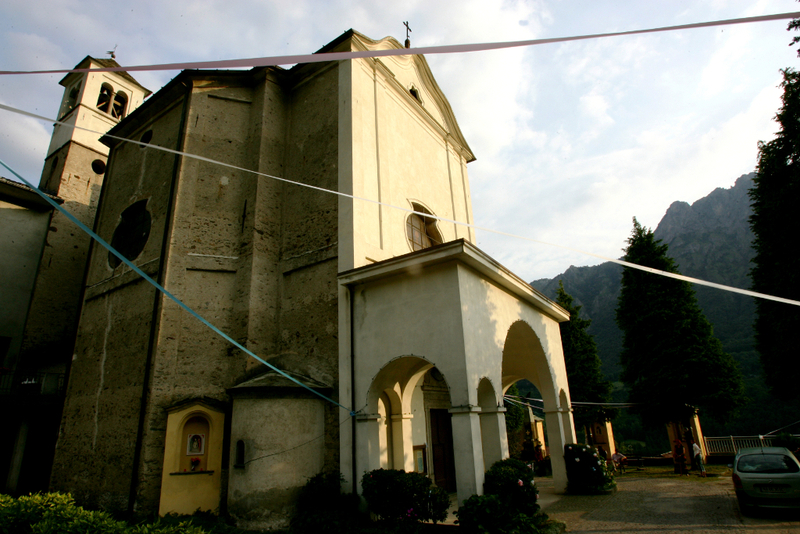 The parish church is situated quite lonely to the border of the inhabited area and , with its heavy bell tower , it dominates the surrounding area. 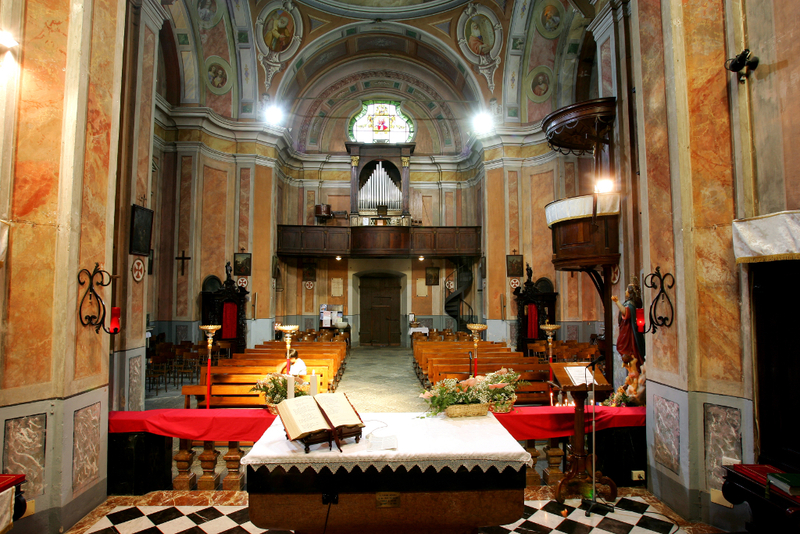 The building dates back to 1406 and it was consecrated to Maria Assunta , patron of Taceno , in 1746.